Fast food fans, take heed: there's a new spot in town to get your fix. 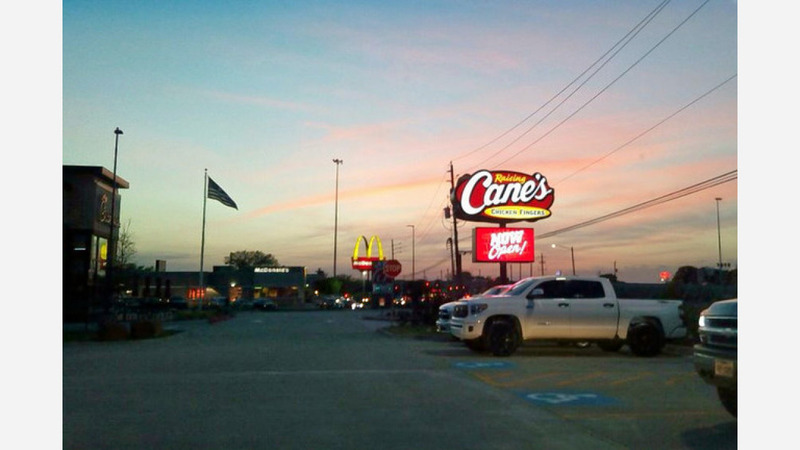 The new arrival to Greater Greenspoint, called Raising Cane's Chicken Fingers, is located at 163 West Rd. Todd Graves -- Cane's founder, chairman, CEO, fry cook and cashier -- turned his dream into reality with the opening of his original restaurant in 1996. "We're committed to serving the highest quality chicken finger meals as fast as we can, in a friendly, clean restaurant," claims the eatery's website. A variety of chicken boxes are served including a three-, four-, or six-finger combo, each with crinkle-cut fries, coleslaw, Cane's sauce and Texas toast. If you're planning on doing some tailgating or hosting an event, you can place between 25 and 100 chicken finger orders. The fresh arrival has made a good impression thus far, with a four-star rating out of three reviews on Yelp. Monica L., who was among the first Yelpers to review the new spot on April 6th, said: "Fast and friendly service! Their food is always great, hot, and tasty. Their lemonade and iced tea are to die for and the place is always clean." Yelper Lupe A. added: "New place, great location, fast service, awesome chicken and Texas Toast, friendly staff, and fast drive-thru service".